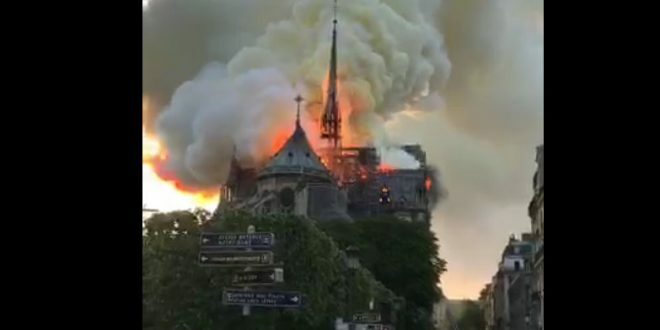 PARIS: Fire Engulfs Notre Dame Cathedral [VIDEO] - Joe.My.God. A fire broke out at Notre Dame Cathedral in central Paris on Monday afternoon, a spokesman from the fire department said. Smoke could be seen billowing out from the top of the medieval cathedral, as flames lept out besides its two bell towers, a Reuters witness said. A major operation was under way, the fire department added, while a city hall spokesman said on Twitter that the area was being cleared.